LTHForum.com - El Habanero - Pambazos, Pozole, and Gorditas... OH MY! El Habanero - Pambazos, Pozole, and Gorditas... OH MY! 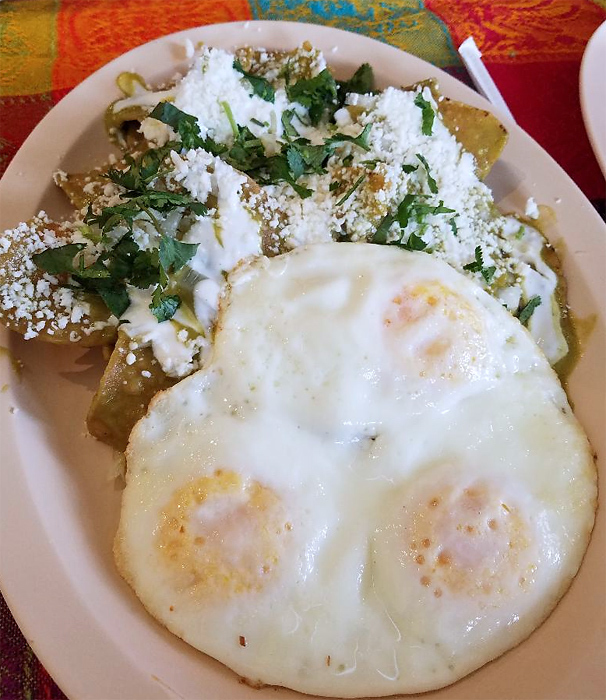 LTH Home > Chat > Eating Out in Chicagoland > El Habanero - Pambazos, Pozole, and Gorditas... OH MY! A friend took us to El Habanero last night up in Logan Square for a weekly under $15 night we do. He had frequented it for the past year and had rave reviews. I was surprised to see nothing on here about this place as I think it has some elements of a GNR. However, after only one visit I will withhold full judgement. We made the trip and were warmly greeted by Lorena who I later learned was the owner. She was a delight to interact with all night as she helped us with our Spanish and guided us through some of the origins of the dishes on the menu. My friend did the ordering for us and it was one hit after another. - Pozole Verde - Not entirely sure if I have had this dish before but it was just hitting the spot on a hot summer night. Nice and light broth with good depth of flavor. It comes in a large portion that is easily more than enough for two people to split. Also comes with a side bowl of garnishes including oregano, red chili pepper flakes, lettuce, and lime. There was a lot of chicken and hominy to make this a fairly substantial dish as well. I think this was ~$7.95 and well worth it. - Pambazo with Chorizo and potatoes - Another item I had not had previously but really really enjoyed. Essentially this is a sandwich where they dip the breading in a guajillo sauce and then I think they fry/griddle* it a little and then stuff with the filling of your choice. We had the potatoes and chorizo and it was delicious. Not too greasy and oddly it did not seem too heavy. - Gordita with Poblano peppers Lorena informed us that all their masa is made in house and that these were made to order. It showed as everything had tons of flavor from the nicely griddled shell to the delicious poblano and cheesy filling inside. Yum! Going to be hard to not re-order that entire list next time I go. To me this place represents what I love about eating in Chicago - fun and friendly owners putting out delicious food with soul at a really fair price. Also, my friend mentioned that they have raised prices but I commented that it was still a heck of a deal for 5 of us getting out of there for around $10 a person. * I may have made that up as I thought I heard her say that but cannot confirm nor deny as I pretty much went into a food induced blackout where all I could think about was my next bite. It happens. jpeac2 wrote: My friend did the ordering for us and it was one hit after another. A friend took me there for lunch and even though it was just a single visit, I share your enthusiasm for the food and service at El Habanero. He ordered and we shared 3 items, all of which I'd happily order again . . .
Really flavorful stuff, including the salad of carrot ribbons, beans and rice. I thought the picadillo had particularly nice flavor. Loved the flavors here and the varying textures of the tortillas - everything from delectably drenched to crispy and light. A great sandwich that, I agree, was much lighter than it looks. 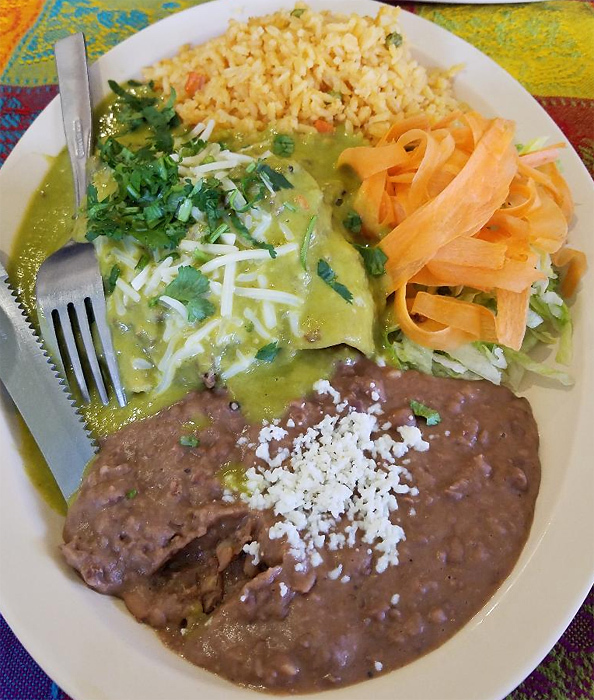 This could make you forget even your most favorite torta ahogada. I also want to mention that 2 salsas and chips (not pictured) were also excellent. The verde was roasty and fiery and full of life. The roja was more of a paste with heavy but pleasant garlic note, served cold. So close to home. Had driven by numerous times and wondered. Now, I cannot wait to return. Still going strong over at El Habanero . . . I was told by our server, who I'm pretty sure is also the owner, that the Asada Pambazo also includes some chorizo. That addition really amped up the flavor. Using chorizo as a condiment is inspired genius! 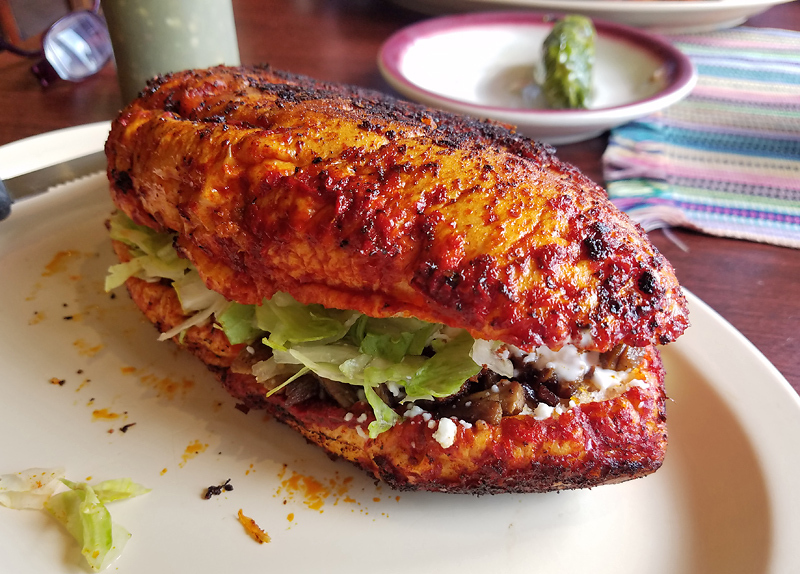 Pambazos are kind of like Tortas Ahogadas but one difference is that they're grilled after they're dipped, which produces synergistic results in both flavor and texture. And at El Habanero they're grilled really nicely, too. 15 minutes after this sandwich was served, tapping the roll with the side of my knife still produced drum-like thump. This was the centerpiece of an utterly delicious lunch that also included some Chilaquiles Rojos, with a trio of beautifully cooked over-easy eggs and a delectable Lengua Taco, ordered by my companion, that featured sticky-soft-unctuous-crispy lengua and warm, aromatic corn tortillas. I can't wait to order a couple for myself next time I'm there. Dug the genial owner, food, atmosphere, lengua, Pambazos and pretty much ever thing about El Habanero. Not hyperbole on Ronnie's part, fifteen minutes in the pambazo was still crisp and delicious. This is one terrific sandwich. El Habanero, Count me a Fan! 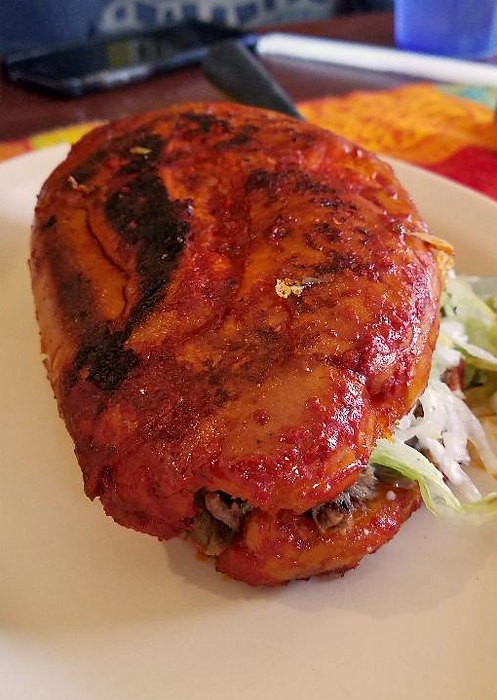 Went to El Habanero last night because of this thread - pambazo exactly as pictured above and terrific. Everything really is a cut above here - the rice, the beans, horchata, salsas were all excellent. Thanks for turning me on to this spot! Had a wonderful meal here. Every dish was delicious and distinctive. Plus, everyone there could not have been friendlier or more interested in making sure that we were happy.